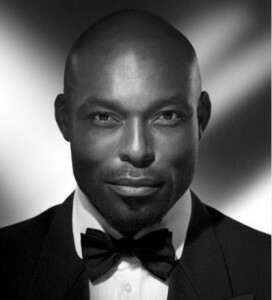 Haitian born Hollywood actor, Jimmy Jean Louis will host the 8th edition of the Africa Movie Academy Awards (AMAA) coming up on 22, April 2012. Naomi Lucas, the business development and brand manager of the awards confirmed the news in a telephone conversation with reporters from NET. Louis, a best actor nominee last year (Sinking sands) has appeared in major motion pictures like ‘Tears of the sun’ and ‘Phat girlz’ and on the tv series, ‘Heroes’ where he had a recurring role. Ms Lucas also revealed that due to challenges in security and airport facilities, the awards will move from their traditional home in Bayelsa state and would be held in Lagos state. Nominations will be announced on Thursday 15, March in Gambia. A total of 328 entries have been received from film makers across Africa even as the awards are shaping up to become Africa’s definitive film recognition platform. Apart from the 2008 edition held in Abuja, all the others have been held in Yenagoa, Bayelsa state since inception of the awards in 2005. What do you think, hit or miss?